We're going to be at Emerald City con this weekend! 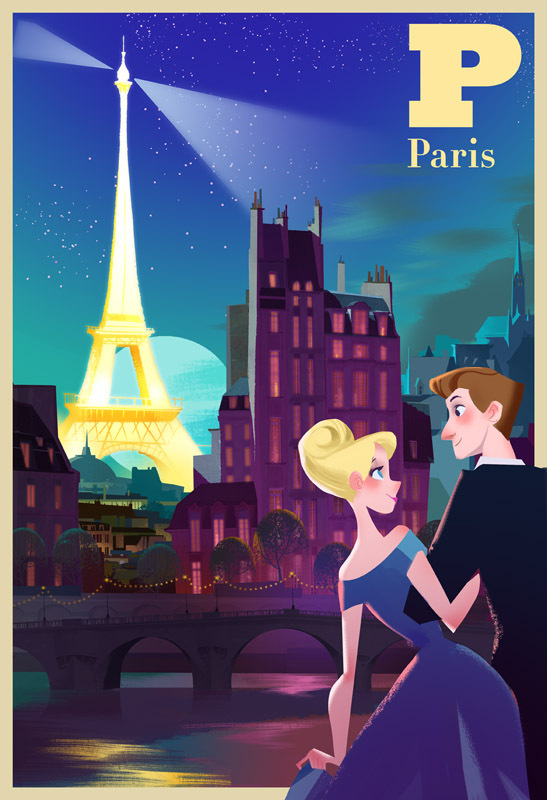 We're going to be in Seattle in 4 days! 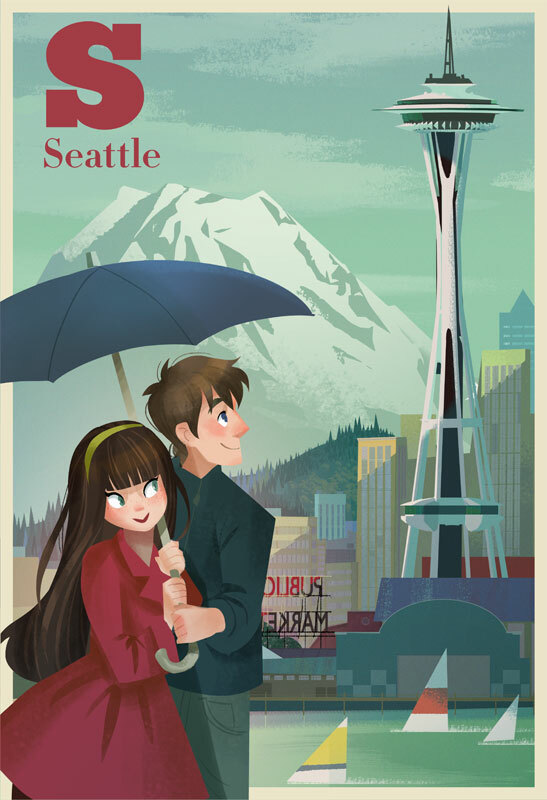 To mark the occasion, Mike and I did another collaboration City poster for Seattle! Hey Guys, Here's a print that we premiered at Wondercon and will be having again at Emerald City con! I hope you guys like it! 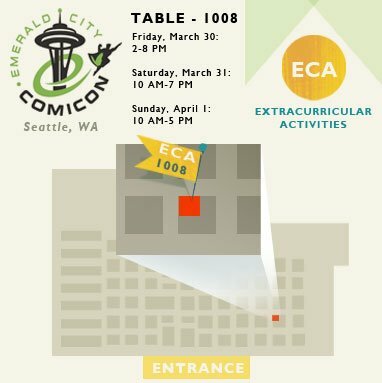 Here's a map of where we will be at Emerald City, if you are in the area please stop by and say hello! 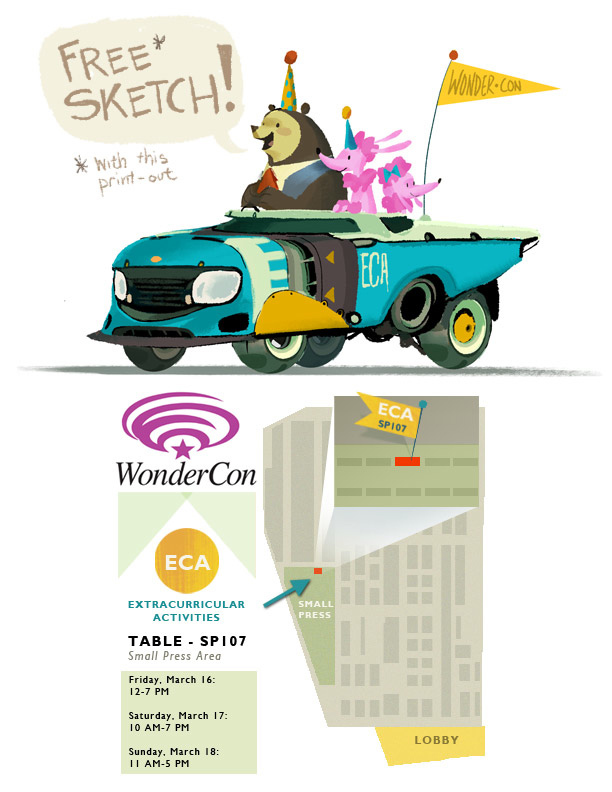 This week Mike and I are going to be attending Wonder Con! We will have books, Alphabet Cards and Prints! Ashley Wood did this thing a few years back at comic con and Mike and I thought it was a cute idea and a good way to meet people! 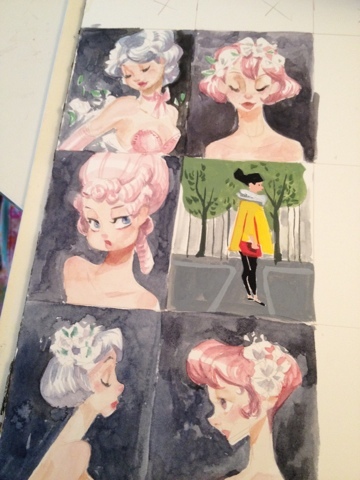 These little things are going to be for sale at wondercon!